No. 193 The Fast Rise and Slow Demise. A rare Sunday edition, this is issue no. 193. The last issue had a 🔥 48.02% open rate with an additional ⚡️ 8.41% of you going back to this article on how to build a digital brand. A whopping 38.9% of opens found a link that they liked. Since the aforementioned link has been the top billed article for the last few issues, I've included the second ranked link: "The Future of eCommerce." The majority of US consumers have purchased apparel both online and offline, however, brick-and-mortar is still the dominant transaction channel. 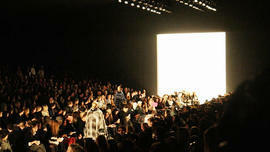 In fact, US consumers’ attitude towards fashion and their purchase behavior has changed little over the past five years. We expect brick-and-mortar to remain the dominant store format for US apparel and footwear retail in the near future. As retailers have shifted their budgets to digital advertising, the influence of all major media channels has decreased in the past five years, except for social media and mobile video. Among millennials, the influence of social media on apparel purchases is on par with traditional media like TV and magazines. 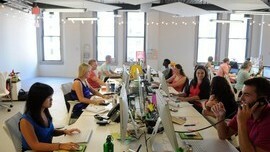 MEDIA: Even at the height of the company’s trajectory, LivingSocial was dogged by skepticism. There were critics who believed daily deals were simply glorified coupons and a fad that would pass. 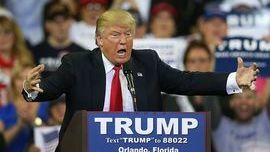 Others asserted they were bad for business owners, an argument compounded by reports of merchants who were overrun with customers and losing gobs of money. ECOMMERCE: On the retailer side, we can integrate with your ecommerce platform, then give you access to browse all our awesome, fully vetted brands. Once you’ve connected with your new supplier(s), we have the technology to allow you to start selling almost immediately. 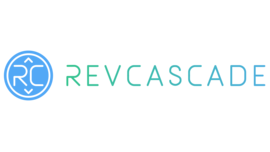 Email us at sales@revcascade.com to learn how we can get you set up. 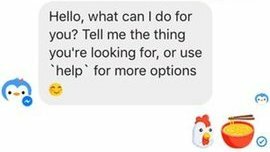 VOICE FIRST: Conversational commerce also makes the product-search process a dialogue versus one-sided, wherein the user searches for the desired product using the search box on a website. Thus, conversational commerce makes the shopping experience more engaging and helps find the desired products while also facilitating cross-selling and up-selling. ECOMMERCE: Aflalo applied the streamlined Apple retail approach: individual samples of the brand’s best-sellers hang on well-spaced white hangers made from recycled materials; all other stock remains hidden in the back. Other e-commerce turned brick-and-mortar businesses that were early adopters of the Apple model include menswear brand Bonobos, eyeglass purveyor Warby Parker and San Francisco-based Everlane, which sells men’s and women’s basics. 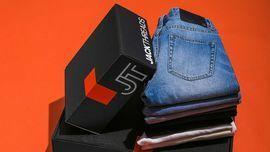 ECOMMERCE: The new model launched in the spring, but by the fall JackThreads was already talking to investors about needing to raise more money, sources said. At the time, the company was very unprofitable and projecting only around $30 million in revenue for the year, these people said. At one point in previous years, JackThreads did as much as around $70 million in revenue or more. RETAIL: The argument against a BAT comes down to something more basic: Practically, Americans won't pay higher prices to buy stuff for their own families, even if they ideologically agree with creating manufacturing jobs and supporting American-made goods. And there's little doubt a BAT will result in American companies raising prices for consumers if they are going to stay in business. DATA: So what does a successful fashion bot look like? Burberry got it right last fall, when the company launched a Facebook Messenger bot during London Fashion Week. The tool offered exclusive glimpses of the new collection prior to the runway debut and shared trivia related to the line’s inspiration. It then offered live customer service so that users could buy the clothes, which had been made available the same day as the Fashion Week show. BRAND: The growing popularity of these new products is a growing threat to Victoria's Secret's business. Every 10 percent shift to bralettes from traditional bras equates to a 6 percent hit to bra sales and a 2 percent hit to total revenue, Konik estimates. If bralettes reach 20 percent of the brand's bra business over the next two to three years, then Konik reckons total brand sales could drop by 12 percent. DATA: Reebok partnered with Bluecore to develop a targeted audience of consumers with a high affinity for Reebok’s CrossFit products, and then personalized email content, Facebook ads and home page results. The resulting campaign saw a 400% ROI improvement over native Facebook targeting and a 76% lift on clicks to the personalized content. ECOMMERCE: Morrison said eCommerce will revamp the food industry and give companies like Campbell Soup a more direct relationship with consumers. Campbell Soup is planning meal-kits, buy now functions, integration with recipe sites, and dash buttons. The company will also invest in ecommerce platforms and omni channel experiences. 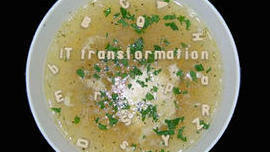 What remains to be seen is how these platforms will integrate with retailers and grocers. I spent the weekend reviewing a February 2017 white paper by Fung Global Retail and the sheer amount of raw information is overwhelming. The report is pretty impressive. 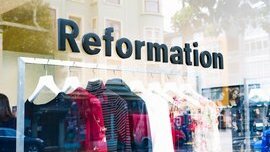 The focus of the report is big retail's plague of store closures and management changes but much can be deduced about each brand's refocused efforts on shifting resources from physical retail to digital and voice. The .pdf download is ready for you here.